Beam Technologies is a leader in oral care digital health. Beam develops “daily touch” health technology with the recognition that oral health is a key component to overall health. Founded in 2012 and based in Louisville, KY, Beam believes healthcare should be a connected and personal experience. Beam Tech is an LLC. We were able to use a state run service system. Beam has a bookkeeper who manages all finances. We did use Quickbooks. What type of smartphone operating system do you use? Beam Tech develops for IOS and Android. I am using an Android phone as my personal right now. The Brand for Beam and the Beam Brush was formed from a variety of sources. One of my partners, Dan Dykes, helped bring our colors, website, packaging graphics and “feel” to life. He has a great eye for design, though no training. Our name and logo was inspired by crowd source campaigns. I bottled all of this up with our core messaging and out it came! We have structured programs created for Adwords and Facebook advertising in the near future. I am a huge fan of Twitter, and our @beambrush account is definitely the first place I go with news about the company. We are a consumer digital health company! By getting great press and attracting attention to our site and product! A willingness to learn brand new things constantly, and not being afraid to fail. Rocky Balboas. Hit them, they hit you back. Knock them down, they are right back up and ready to go again. 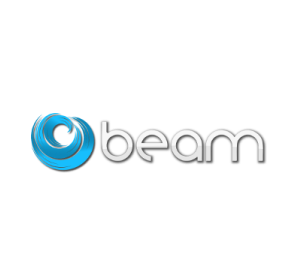 We have taken on Angel capital for Beam Tech. My books are 140 characters long. Subscribe to the best startup resources on Twitter and frequently source articles written related to your space. It informs, it inspires, and it educates on an unmatched cycle. Did you leave your job prior to getting your first customer? This has always been my job, so yes. Lavar Burton made reading fun. Trekkie. Gizmodo, Mashable, Techcrunch, and GigaOM tend to rise to the top of my reading list. Tough pick. Elon Musk probably, already one of the best entrepreneurs of all time. You can’t turn this guy off. He has the ambition and the you-know-whats to disrupt any industry. I call him an “enterpriser” entrepreneur. People like he, Richard Branson, Mark Cuban can make any type of business fly because they inspire logical, creative, and aggressive ACTION with their companies. Statistically speaking, you are going to be an entrepreneur at some point in your life (this is for the younger half of the readers), so you should be actively learning and looking for opportunities in areas where you have unquenchable passion. Today, we see the emergence of the “intre-preneur”, and tomorrow I think this will translate to a culture of entrepreneurship, at least in America.